The source from statista states that - By 2021, more than half of all online shopping will take place via mobile devices. Thus, optimizing store for mobile means more than having a responsive design, this indicates designing a site with mobile keeping in mind visitors from start to finish. And quite obvious, every online shopping store passionately looks for solutions to increase traffic and conversions. It is challenging to decide on which marketing tactics to rely on even if you are putting together a basic strategy that propels the growth. In this blog let's have a look at effective marketing tactics and e-commerce tools along with ideas to improve the implemented approach. The ideas themselves run the gamut from direct acquisition to create more repeat purchases from the customer base, your business own. E-commerce marketing is the practice of executing promotional tactics to drive traffic to the online store, converting that traffic into a potential customer and retaining them for the respective post-purchase. In today's digital world, it is necessary to have a holistic e-commerce marketing approach. For instance; one of the best strategies is Mobile Application Development - that help you build brand awareness, drive customer loyalty, and ultimately increase online sales. The use of m-commerce marketing to improve the online store as a whole or to drive more sales for the explicit approach. Go for high-impact ways to engage your site visitors and customers away from mail. For instance, integrating a live chat to engage with shoppers can be an ideal solution. Many live chat tools allow targeting browsers on certain pages. Live chat also enables direct conversations with customers. 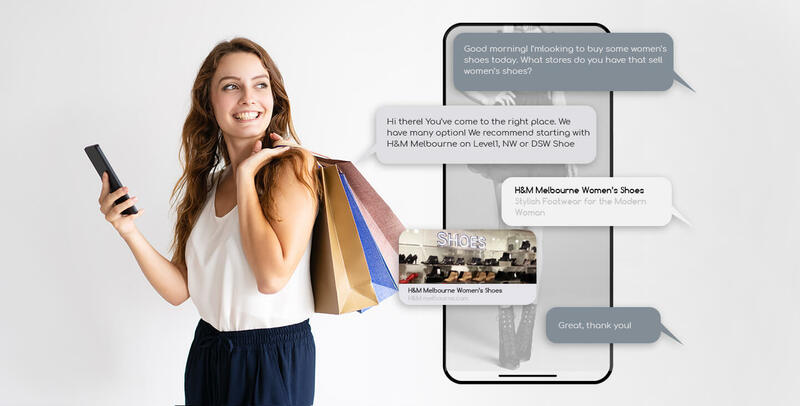 This increases the interest of user when they receive the direct answer and helps online shops to address customer concerns right the time of shopping. Personalization - an effective marketing tactic to drive online sales. By embracing behavioral data, personalized experiences can be served to the visitor (according to their past actions and preferences - this boost sale). According to BCG research - personalization booms sales as much as 10%, (the opportunity is greater than usual). Only 15% of companies use personalization technology to its fullest extent. Further, this also allows having an account for location in personalization to generate an experience provisioned to where your shoppers are in the world. For instance; Someone in southern California looking for bathing suits in October, while your Maine customers apparently need coats. By offering personalization you can build trust. Owing approx 500 million daily active users - Instagram - known as the fastest growing social apps around, unites consumers, influencers, and brands. For instance, this is a great platform, so if you take compelling photos, apply hashtags strategically, and post at the best times then your way to building a large Instagram following of people is going right. Knowing your audience is really important. The key to understand organic Instagram behavior is proper engagement with followers. You are surely losing money every time a visitor leaves their cart without purchasing. This phenom is well-studied. Visitors add items to their carts but drop their carts during the checkout process. 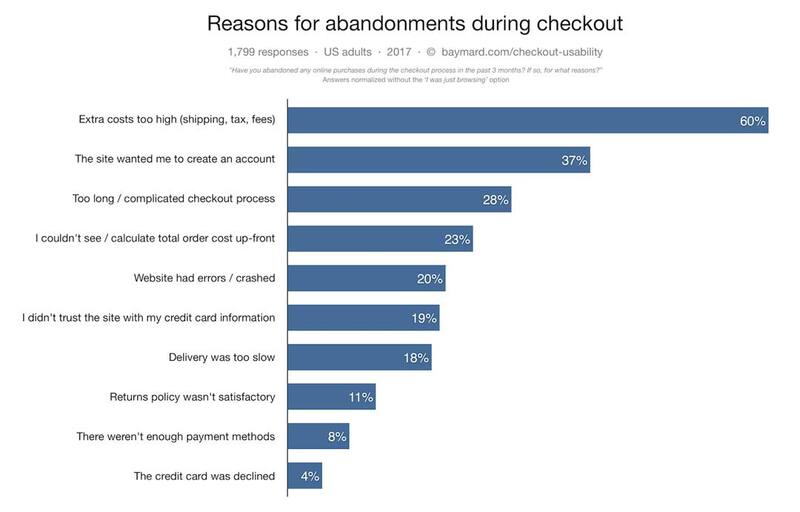 The Baymard Institute reveals that 69.23% of shopping carts get abandoned due to one or the other reason. So checking this will help to step towards success. Although Facebook has encountered a number of modifications, it ensures a viable platform for social media and e-commerce marketing. It’s fairly a great option to start building sales through your Facebook store. Better yet, your Facebook store can unite directly with your Shopify store, thus no need to have a separate inventory. One final type of email to continue to your list of e-commerce marketing ideas: the wishlist reminder email. The wishlist notification email is intimately related to the discontinued cart email. Both are designed to induce shoppers to take the final step in buying the products they have shown committed to buy. The apps are flooded like anything in the market - therefore it’s highly crucial for your Shopping App to be out-of-the-box and attract the user’s interest. And to be unique and win competitive edge, adding features that meet the requirement of the present trend. We at Root Info Solutions - highly aims to come up with the app that perfectly matches the client’s unique demand fusing technology and trend together. To build Unique shopping Apps like Avanti fill in the form given below - our expert developers will assist you quickly.